Whether you’re a part of an established and growing business or an entrepreneur just starting out, all Atlanta area executives have one thing in common – they need an affordable and attractive desk for their office. Let NorthPoint Office Furniture help with our comprehensive inventory, including many types of desks for office spaces in the Atlanta area. 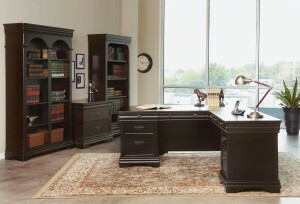 Executive – This luxurious style of desk exudes business sensibility and offers a ton of storage space. Reception – These large desks make a great first impression. Bow front – These flexible desks will fit in anywhere, from private offices to employee workstations. U- or L-shaped desks – These desks offer tons of surface and storage space. Our reliable and stylish desks aren’t just for businesses. Bring the elegance of your workspace home with you with our line of home office furniture. We offer everything you need to take your office or study to the next level. And with NorthPoint Office Furniture, you never have to worry about losing a weekend to time-consuming desk building. Assembly is always included in the price of our furniture. Stop by our 8,000 sq. ft. Roswell, GA, showroom to see what your office could be with our fully realized demonstration offices complete with conference tables and workstations, and to learn more about a desk for your office in Atlanta, Dunwoody, Marietta, or elsewhere in the region.